JTB CAD Automation Tools for AutoCAD has been updated to version 5.1 and got a couple of bugs fixed. If you love to use Excel spread sheets to make edits then JTB CAD Automation Tools is for you as you can do a lot of AutoCAD automation with help of Excel like creating new drawings based on templates, update title block attributes, inserts text, blocks or xrefs, run custom LSP files and much more. AutoCAD 2016.0.10 Update was released 04/28/2017 and is only available to download from the Autodesk Account or via Autodesk desktop app. According to the readme this update contains all of the hotfixes released previously and applies to the following releases with the AutoCAD 2016 Service Pack 1 installed. Occasional crashes when panning transparently in multiple viewports. Grip stretch doesn't work properly when DYNMODE equals value other than 2 or 3. Occasional crashes when when Copy/Paste a block by Ctrl+C, Ctrl+V. Occasional crashes when opening AutoCAD in Windows 10. Enterprise Single Sign On accounts are signed out when multiple users have the same credentials. Cloud Rendering URLs are updated to the current https location. Can initiate the 3dpoly command after undo without crashing. STEPIMPORT imports the full STEP model in specific cases. Sheet set publishing to PDF is faster. Language switching between Korean and English works after using the move command. Publish no longer cuts off the borders of A size paper. Elliptical arcs do not display extra lines when plotting while shaded. Keynote fields no longer lose the association to a value for editing Xref in place. Edit block in place no longer crashes when Factory Utilities are loaded. ECW images no longer display distorted after applying the ATIL update. This can’t be done in AutoCAD, GstarCAD or BricsCAD without deleting the Custom Property and adding a new one, loosing the values in the process. One reason why you may want to rename the Custom Properties could be that you want to have them sorted in a special way and as the show up in sorted order and not in the order they are created you may want to use prefixes to force the sorting as you want it. The good news is that with our JTB DST Tool this can be done. Say there is a Custom Property name like “Project Name” that you want to change to “6 Project Name”. Open the XML file and search for propname="Project Name" and replace it with propname="5 Project Name". Just make sure that only change on all places where the element is AcSmCustomPropertyValue as seen below. The GUID values could be different. Here’s the result in AutoCAD after renaming a few Sheet Set Custom Properties. And if you want to use our SSMPropEditor it looks like below because it currently shows the properties in the order they were created. There are plans to be able to show them in either the order they were created or in sorted order. Product crash when communicating with Licensing Server – Hotfix is available. The error will likely be followed by a dialog requesting to submit the error report. This affects all users of 2018 product versions on subscription with single-user access, on both Windows and Mac. If you use AutoCAD 2018 make also sure to install AutoCAD 2018.0.2 Update if you have 2018.0.1 installed or it will cause the product subscription to expire on June 1st, 2017. AutoCAD 2017 has got an update. Readme for AutoCAD 2017.1.2 Update here. This AutoCAD 2017.1.2 Update contains all of the updates previously released for AutoCAD 2017. After applying this patch, AutoCAD 2017.1.2 Update, the Product Version number in the About box will be listed as N.402.0.0 AutoCAD 2017.1.2. If you use one of the vertical products, the Built On version will be listed as N.402.0.0 AutoCAD 2017.1.2. Occasional crashes when zooming in while HQGEOM is disabled on specific drawings. Occasional crashes running common commands after loading specific ARX files. Compiling PFB fonts can produce a non-usable .SHX file. After executing certain commands, the local language cannot be switched. 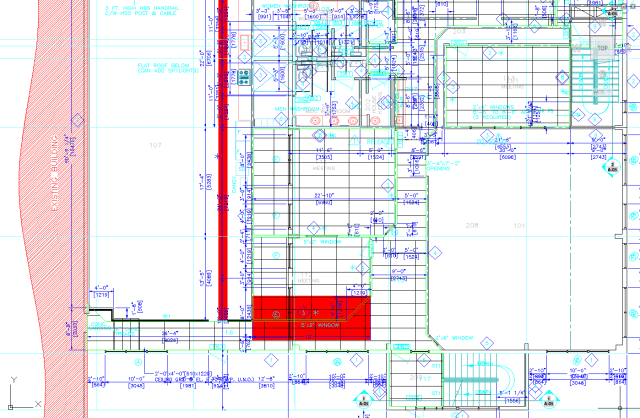 Copying and pasting might lead to AutoCAD freezing. When changing the view of a drawing, the objects in that view might disappear. JTB Sort Table has been updated for AutoCAD 2018. JTB Quick Perspective has been updated for AutoCAD 2018. If you want to add some simple perspective view to your drawing without getting involved in complicated 3D modeling, you will find JTB Quick Perspective invaluable. All you need is one command and you will be taken through a simple procedure where you will control required extrusion and rotation. Newly created objects are polylines and can be used as source frame for the next command call. With JTB Quick Perspective you will create 3D-like perspective views with just a few clicks! JTB Quick Perspective 30-day trial is available. JTB Layout Palette has been updated for AutoCAD 2018 and is also working with BricsCAD. Sheet Set Manager Path Edit has been updated for AutoCAD 2018. With this app for AutoCAD you can find and replace a path prefix for all sheets in a Sheet Set. In the project below all sheets has "Status: File is missing" because the files where moved to a new location and this can be fixed with this app. JTB Sheet Set Creator has been updated for AutoCAD 2018 and also now supports the Subset New Sheet Location setting. JTB DST Tool has been updated for AutoCAD 2018. JTB World’s OffsetInXref app updated for AutoCAD 2018. This app can be used with AutoCAD to enable the OFFSET command to work with externally referenced drawings (xrefs), blocks, and lines within associated arrays, dimensions and tables. JTB World’s freeware app JTB FlexReport LT has been updated for AutoCAD 2018. JTB FlexReport LT makes it easy to show current usage of FlexNet licenses. Way easier than checking the status with lmtools.exe or lmutil.exe. With the handy Get Feature Descriptions button you will automatically get descriptions for FlexNet features like 86830ACD_2018_0F (Autodesk AutoCAD 2018). These descriptions are then used in the report. The aggregated list sums up multiple license servers and gives an overview of the features (applications/modules/packages/bundles/collections), number of licenses issued, in use and available. JTB FlexReport LT is free so get it now. JTB VPLayer Tools by JTB World is a new app for AutoCAD to simplify layer override settings within viewports. If you use VPLAYER frequently setting up overrides for linetype and lineweight of layers on viewports, this app will help you do it quickly. Free trial is available for JTB VPLayer Tools. JTB Text Bubble Plus and basic Text Bubble app have been updated for AutoCAD 2018. DimensionPatrol is an app that highlights dimensions in a drawing for which the user has customized or edited the dimension text and helps to ensure the quality of the drawings. The app is now updated for AutoCAD 2018. Manually overridden dimension are highlighted in red by DimensionPatrol. Free trial of DimensionPatrol is available. JTB Current Folder app has been updated for AutoCAD 2018. Free trial of JTB Current Folder is available. JTB CAD Automation Tools app has been updated for AutoCAD 2018. Batch create, update or insert into drawings. Excel is used to make edits of the data easier. Free trial of JTB CAD Automation Tools is available. JTB World’s DwgNotes app has been updated for AutoCAD 2018. Add notes or comments in AutoCAD or BricsCAD DWG files and optionally be notified about the note when the drawing is opened. One or multiple notes can be added, edited or deleted. You can use these notes for yourself or within a team to remind others what needs to be done with the drawing. Free trial of DwgNotes is available. JTB Spot Elevation has been updated for AutoCAD 2018. Free trial of JTB Spot Elevation is available. JTB Layouts2PDF has been updated for AutoCAD 2018. Free trial of JTB Layouts2PDF is available. JTB Steel is an app that adds powerful command features to help you draw simple and complex steelwork frames and details efficiently. Free trial of JTB Steel is available. RVT Columns for Explorer updated for Autodesk Revit 2018. RVT Columns for Explorer has been updated to support Autodesk Revit 2018. JTB XClipClean is an Xclip-cutter app for AutoCAD to clean up xrefs or blocks that been clipped so that the information that is outside the clip is removed. TimberTool 2.0 supports AutoCAD Architecture 2018. 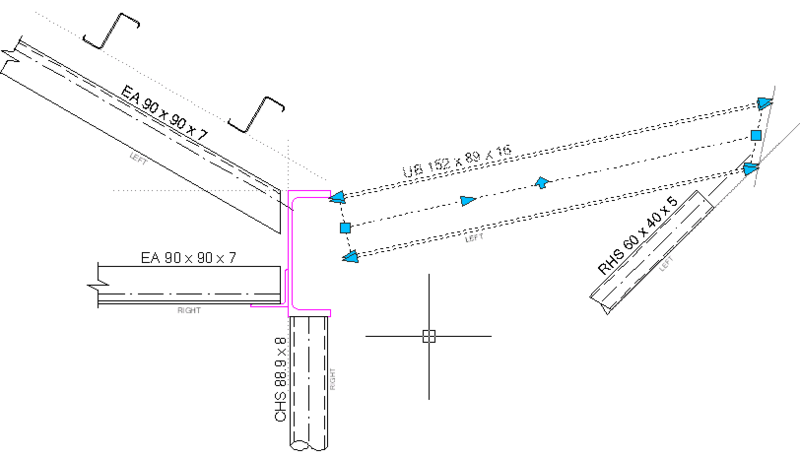 TimberTool makes it easy to convert closed polylines into mass elements and makes the bounding box width and depth correct for scheduling purposes. The product was initially created for usage with timber but works with lumber, structural steel or concrete shapes. JTB World’s Classification Definition Tools has been updated for AutoCAD Architecture 2018 and AutoCAD MEP 2018. AutoCAD Architecture Classification Definitions cannot be exported or imported. With the help of this app this is possible. Some classification structures can be very large and complicated and this tool can help to avoid the need to type everything manually. JTB Catenary has been updated for AutoCAD 2018. JTB World’s DigSigStamp has been updated for AutoCAD 2018. This app allows you to specify a block that will change its display when plotted to indicate whether the drawing had a valid digital signature at the time of plotting. The app helps you identify visually when drawings have valid digital signatures. I’ve not done any comparable test but it might be worth to give it a try to see if the new Game Mode that comes with Windows 10 Version 1703 (Windows 10 Creators Update) can help you hardware intensive software like CAD. It could be AutoCAD, Revit, Inventor, Navisworks, BricsCAD, CATIA, Siemens NX, Solid Edge, PTC Creo, SolidWorks, etc. This Windows tool is not limited to games and works for most any software. Running a software in Game Mode tells Windows that you’d like to focus on the software in terms of system resources. Unwanted and non-priority background processes will be stopped automatically or run with lower priority. First you need to turn Game Mode on in the Windows Settings area, then enable it for each software as well. To do this, open the Windows Game Bar (Windows key + G) with the software running, and check the "Use Game Mode for this game" box. In the Game Mode Bar click on Settings to disable it for the software by unchecking “Remember this as a Game”. You can also take screenshots and record videos with this tool. If you can’t find Gaming in Settings and activate (press Windows key + G) the new Game Mode even though upgrading to Windows 10 Version 1703 (Windows 10 Creators Update) it might be that you need to install Media Feature Pack for N edition of Windows 10 Version 1703 from the Microsoft Download Center. JTB World’s License Borrowed Dialog Closer freeware has been updated to work with AutoCAD 2018. This free app is great if you use a borrowed network license and want to prevent the "License Borrowed" message from showing up every single time you start AutoCAD. JTB Batch Change 1.5 comes with support for AutoCAD 2018. With this app you can do a lot of different automation tasks for AutoCAD in batch mode on multiple drawings at once. Find and replace text on multiple drawings. Import and update all blocks from a standard drawing to hundreds of other drawings. Replace all inserted blocks "DOOR-BD3" in layer "Archs" with block "DOOR-AC1", and move them to layer "ARCH-FURN"
Change all texts whose styles are not prefixed with "ELEC" to "ELEC Standard" style, then change all block's attributes whose tag is "DATE" to current date. Convert all your inserted blocks from dynamic to static, or to anonymous blocks. Flatten all your drawing objects by setting all Z coordinates to 0. Unload or Detach xrefs or change their name, file name or path. JTB World’s TransTips for AutoCAD now supports AutoCAD 2018. This app can be used to translate the contents of tooltips in various Autodesk products automatically into one of 43+ languages via Microsoft's Bing online translation service. The translated text is stored in a local cache of XML files, which can also be edited and used by the app. JTB Align Plus is an app for AutoCAD that now supports AutoCAD 2018. This app helps to align text and blocks to lines and curves. Check out all productivity features this app has at JTB Align Plus, a trial is available so you can give it a try.